What is the Jurisdiction of Incorporation? Different states have different rules and regulations. 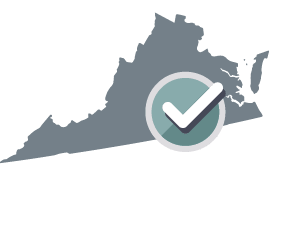 Your Shareholders' Consent to Action Without Meeting will be customized for Virginia. What is the difference between a consent to action and minutes?A consent to action is a written document that describes the actions taken by the shareholders of a corporation in lieu of an actual meeting. The minutes are a written document that describes and records actions taken and resolutions passed by the shareholders during a regular or special meeting of the shareholders. You can select Minutes of Shareholders' Meeting from the All Products page instead if you prefer.What is a Jurisdiction of Incorporation?The Jurisdiction of Incorporation is the state in which the corporation was incorporated or the state in which the corporation was continued. If you are unsure of your corporation's jurisdiction, check your articles of incorporation or corporate charter. WRITTEN CONSENT TO ACTION WITHOUT MEETING of the sole shareholder (the "Shareholder") of __________ (the "Corporation") effective this 19th day of April, 2019. The Corporation is a corporation organized and operating in accordance with the laws of the Commonwealth of Virginia. The Shareholder desires to make certain resolutions. DATED this 19th day of April, 2019. What is a Consent to Action Without Meeting? A Shareholders' Consent to Action Without Meeting, or a consent resolution, is a written statement that describes and validates a course of action taken by the shareholders of a particular corporation without a meeting having to take place between directors and/or shareholders. Bear in mind that a meeting does not necessarily mean a face-to-face meeting nowadays when the bylaws of many corporations authorize shareholders' meetings to be held via telephone or video conferencing. A consent resolution dispenses with the requirement for any form of meeting. Many smaller companies substitute special meetings with consent resolutions because it saves time by not having to schedule meetings. These consent forms are very useful, especially for minor matters where having to call a formal meeting would waste time and resources. A corporate resolution refers to either a decision of the shareholders at a shareholders' meeting or a decision of the board of directors at a directors' meeting. Major decisions which need to be made at such meetings include (but are not limited to) the purchase or sale of another business, corporate reorganization (like mergers), stock issuance, and settlements of lawsuits. What is the difference between a consent to action and meeting minutes? The only difference between a Shareholders' Consent to Action Without Meeting and meeting minutes is whether or not a formal meeting has taken place. Where meeting minutes would record the actions taken at the meeting, the consent to action can allow the same actions to be taken as long as written consent is given by the minimum number of voting shareholders. The consent forms will set out the proposed action, and, once the action is passed, the signed forms are filed in the corporate minute book. How do I write a consent to action from for a shareholder? The consent resolution form is usually signed by named shareholders in the document, and the actions should be recorded in the corporate minute book.